Thank you for your interest in employment at Plumas-Sierra Telecommunications. When we have a job opportunity, it will be posted below under the Job Opportunities header. To apply, download the PSREC/PST Standard Application for Employment (PDF). Print and fill out the form to submit with your résumé. Or you may pick up the application at our business office in Portola. Plumas-Sierra Rural Electric Cooperative (PSREC), located in Portola, California, is a member-owned electric distribution utility providing electrical power and related services to more than 7,700 member/owners in Plumas, Lassen, and Sierra counties in California and portions of Washoe County in Nevada. We are a true cooperative, controlled by the membership through an elected seven-person board of directors. Telecommunication services are offered through our wholly owned subsidiary, Plumas-Sierra Telecommunications. Our goal is to provide services with a high level of reliability for fair and reasonable costs. We are also dedicated to improving the quality of life of our member-owners, customers, and our local communities. The working conditions are the best of both worlds. We offer excellent benefits including generous vacation and sick leave, competitive pension, and 401k, while also allowing for personal growth and career advancement. We have a progressive work environment and a diverse workforce. We encourage community involvement. Plumas County is part of the Lost Sierra, the northern part of the Sierra Nevada—it has all the beauty of the Sierra Nevada, while being uncrowded, affordable, and offering great quality of life. Our region is uniting around a community development effort called Lost Sierra Rec and Tech – Life, Business, Balance. Please watch our community videos. With year-round activities, this is a great place for individuals and families of all ages. Lake Tahoe is a short drive away. We are also close to Reno, with its expanding tech presence and a growing arts and recreation scene. 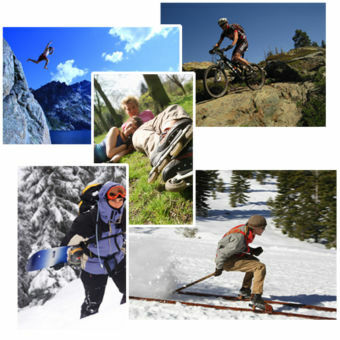 The area offers limitless outdoor recreational activities including golfing, hiking, backpacking, mountain biking, cycling, snowshoeing, cross country skiing, fishing, hunting and is an hour away from various world class skiing destinations and only minutes from multiple lakes and rivers. There are currently two openings. Please check back soon. This position will report directly to the Outside Plant Manager of the Telecommunications Division of Plumas-Sierra Rural Electric Cooperative. The job will include assisting the construction team with the installation of coaxial cable, fiber optic cable, hardware and related equipment. This is a field position that will require heavy lifting and pulling and exposure to all types of weather conditions. Work may also include climbing a ladder as needed. Safety helmet and vest will be provided by the company, however employee will be required to wear clothing appropriate for a construction environment. This is a Union position; IBEW Local 1245. Starting wage is $25.08/hr. To apply please submit a resume, cover letter and completed PSREC Application for Employment to spowers@psrec.coop or by mail to PSREC Attn: Suzanne Powers, 73233 State Route 70, Portola, CA 96122. An employee who shall install services sold by PST such as, but not limited to, Satellite, Wireless, Fiber, and Microwave. Must be familiar with placing and terminating cable (i.e. fiber, Cat5), power tools, ladder, and hand tools. Must be proficient with the use of equipment such as, but not limited to, OTDR, Fusion Splicer, Spectrum Analyzer, power meter, and portable generator. Technician will be certified to splice fiber optic cable and capable of installing and terminating Outside Plant devices and equipment. Employee must be familiar will all PST products and service offerings. Employee must be able to work with indirect supervision. Employee may be required to assist with other duties such as warehousing or other general duties as may be assigned in the line of progression. Understand complex schematic drawings used to determine defective fiber or splices. Must have knowledge of all the technical details of how the equipment functions. Must be able to work under pressure, especially in emergency situations. Maintain and install facilities in all types of weather, even during severe weather. Will work with confidence under limited supervision and provide detailed reports as required. Physical fitness is also important for lifting heavy objects. Must be agile, have good hand-eye coordination and comfortable using power tools. Understands and follows company policy. Technician will be required to participate in safety meetings and trainings. Employee will be required to re-certify or receive additional training as it pertains to his or her position. Employee must have valid CA Driver License, will be required to drive and operate company service truck, which may also require the use and operation of a bucket/man-lift. This is a Union position; IBEW Local 1245. Starting wage is $29.65/hr. 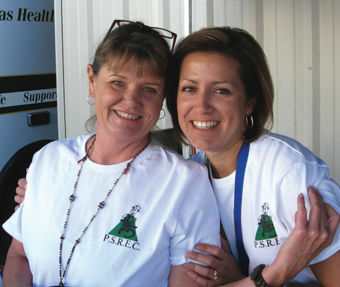 PSREC & Plumas-Sierra Telecommunications are equal opportunity providers and employers.